Published on July 9, 2007 by Wade Shepard Follow me on Twitter here. 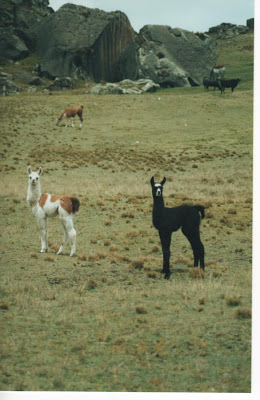 Alpacas in Bosque de Piedras, Peru, 2001. 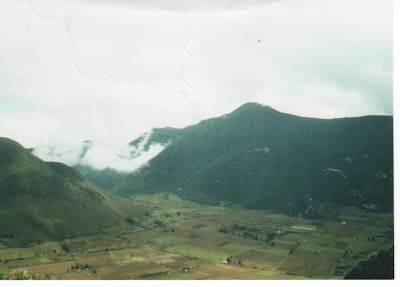 As I ended up back in the USA I figure that I am afforded the opportunity to think through some of my previous travels and dig into the old notebooks to write a little of how I arrived at this point. I try to visit my family as often as geographic proximity allows, as we all get along well and we need a couple of weeks every once in a while to recharge the ol‘ family spirit- email and periodic Skype calls wear a little thin after a year or so of being On the Road. Coming back to where I grew up also gives me the chance to think through my travels a little; a time for reflection and rest. Life is about balance. Too much sitting still causes the joints to creak, too much going forward causes the joints to break. I have come to love these Western NY moments. But The Road calls all too soon, and I find myself with a pack on my back venturing off again. My biggest regret is how little time I am able to spend with my family. 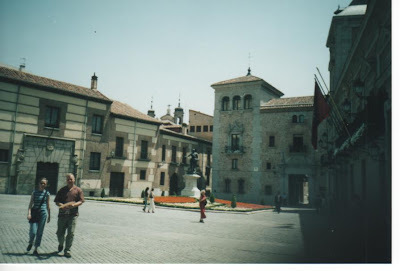 The cobblestone streets of Madrid, 2003. So for the next few days I will be writing up some stories and anecdotes from my old notebooks- to clean myself of them, so to speak. I am also trying to make a homepage but I have absolutely no idea how to do it. I have always had a slight adversion to computers and the modern world, and I never built up much beyond a basic reckoning of computer technology. I just want a regular .com or .org website, so if anyone who reads this could give me even the smallest notion of how to purchase and build one I would be much appreciative. Coast of Patagonia. Puerto Natales, Chile, 2002. Much has been spoken of reverse culture shock, and yes, I do believe it is a real jolt to view your own culture from a lens that has been shattered by travel. But I believe the biggest shock is realizing how much you have changed as a result of travelling and dealing with people who can not realize that such a transformation has occurred. To remove oneself from the grips of socialization, to act on ones own outside of the context of friends, family, and familiar social structure is to be open to this transformation…it is to be free. With only yourself to rely on without the structure of your native social codes and framework is to be without “place.” It is to be yourself. I feel that this is the main reason why travelling for long periods in solitude is such a major part of the practice of monks of many religious traditions. 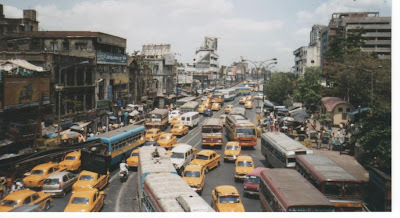 But the problem comes when the traveller returns home and their family cannot understand this great change that has occurred and treats them as they always have. The traveller looks the same, the traveller sounds the same, but they are a completely different person. Travelling changes a person to the extent that they are no longer the same entity they were before journeying. To return home is to be a stranger. I have also observed this transformation process happening in reverse. Like when a person realizes how different their culture is from all others, and constructs a new found appreciation of their own culture- and reveals in the contrast, and defines themselves ever further by this contrast. People explore who they are through the lens of who they are not. I do not believe that Australians speak with as much slang in Australia as they do while travelling. I do not believe that Europeans are as boastful about being European in Europe. I do not believe that Canadians try to distinguish themselves from Americans in Canada as they do abroad (I still think that those maple leaf patches that are stuck all over wandering Canadians are unnecessary- really, it is not much of a hassle for people from the USA to travel. The people of the world outside of Europe are generally intelligent enough to distinguish an individual of a country from the actions of their government). I find that I do this a little too. I am never more fond of Americans or of being American than while On The Road. I sometimes even find myself drawling my speech a little to sound a little more like a backcountry “American.” I laugh when I catch myself doing this and then I do it some more. Nationality becomes an identity only in the context of foreign nations. It seems as if humans have a driving tendency to seek definitions. 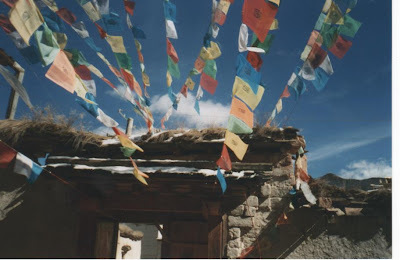 Tibetan monastery in Yunnan province, 2005. 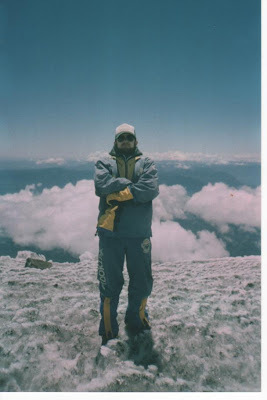 Best friend Erik on Volcan Villarica, Chile, 2002. 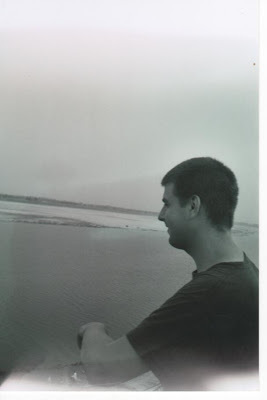 Stubbs overlooking the Ganges on the Ghats of Varanasi, India, 2005. 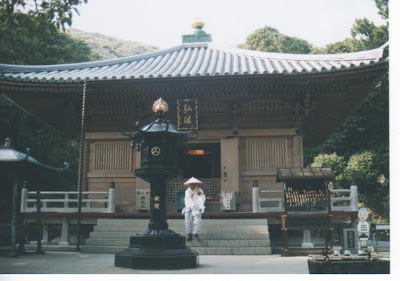 Pilgrim coming out of a temple along the 88 temple pilgrimage in Shikoku, Japan, 2004.